CHICAGO, New Orleans and Kansas City compete for the title of America’s jazz metropolis. for her advocacy of the music genre. some of the greatest jazz musicians worldwide. “I have always believed jazz to be one of the cleverest art forms of all,” she said. Association and the Queenscliffe Historical Museum. classic jazz and jazz musicians,” the Point Lonsdale resident said. - Order of Australia, Meritorious and Distinguished and Conspicuous. Below are the Biographical notes for each recipient in the Australia Day 2018 Honours List. Founder and Principal, Jazz Australia, since 1985. Agent and sponsor, Graeme Bell AO MBE, 1987-2012. Foundation Member and Supporter, Australian Jazz Museum, since 1996. Yarra Valley Jazz Festival, 1994. Past Musical Director, Decanters Jazz Club, 1989-1991. Special Projects and Events Coordinator, Queenscliffe Historical Museum, since 2011. Founding Committee Member, Barwon Heads Arts Council, 2014-2016. Founder, Corangamite Arts Council, 1979-1983. Citation For service to jazz music. 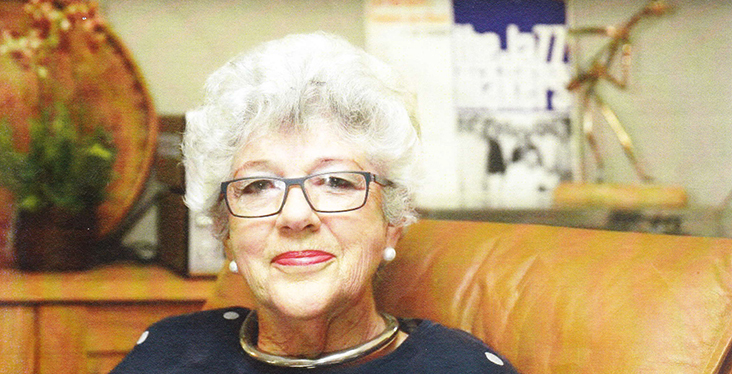 It could be argued that Point Lonsdale has a claim to the Australian title thanks to one woman - Diana Allen. The Jazz Australia principal is a recipient of an Order of Australia Medal (OAM) for her advocacy of the music genre. Ms Allen founded the organisation in 1985 and said Australia was home to some of the greatest jazz musicians worldwide. Ms Allen’s work on charity performances has raised over $200,000 for organisations such as the Terang Civic Theatre, the Motor Neurone Disease Association and the Queenscliffe Historical Museum. “My aim has always been to promote, present and preserve Australia’s best classic jazz and jazz musicians,” the Point Lonsdale resident said. Great to see in today's newspapers the award of the Order Of Australia Medal to Diana Allen " For services to Jazz Music ". For over thirty years Diana and her organisation Jazz Australia have presented the cream of Australian and International traditional and mainstream jazz musicians at luncheon venues throughout Victoria. The musicians who appeared under the Jazz Australia banner represent a " Who's Who " of the jazz world and Diana set the benchmark for the presentation of live jazz in comfortable settings for musicians and audiences with the support of excellent sound and lighting. In semi-retirement Diana continues to present regular jazz performances on the Bellarine Peninsula of Victoria. A well deserved honour for Diana and for Australian jazz.